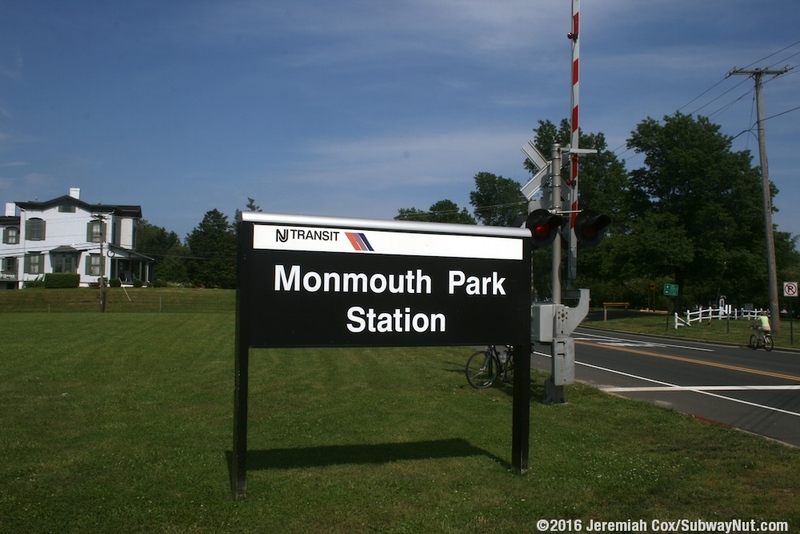 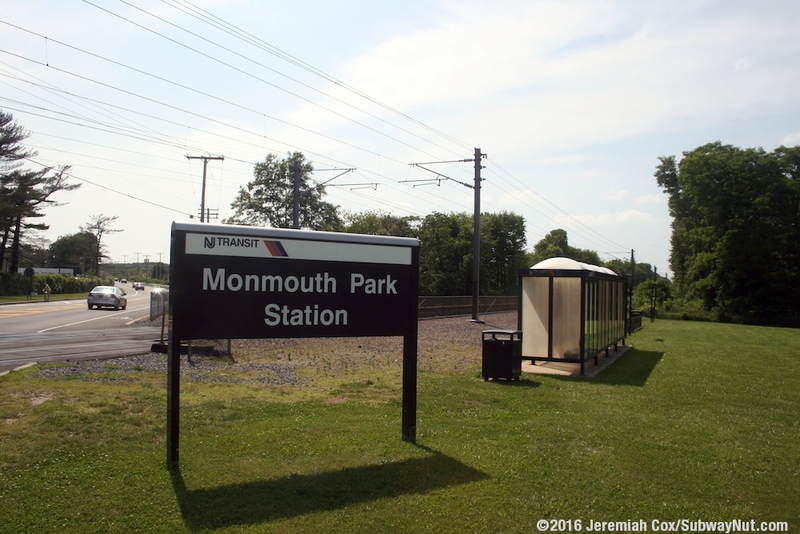 Monmouth Park is a special event station on the North Jersey Coast Line that serves the historic racetrack that opened in 1870. 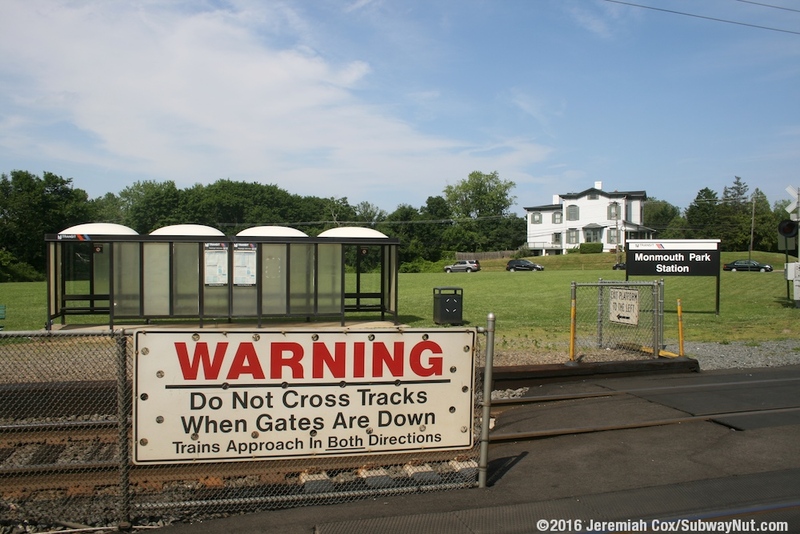 Until the end of the 2005 racing season special Pony Express Trains served the station, running from Hoboken to a not-electrified siding that ended just north of the entrance to the grandstand. 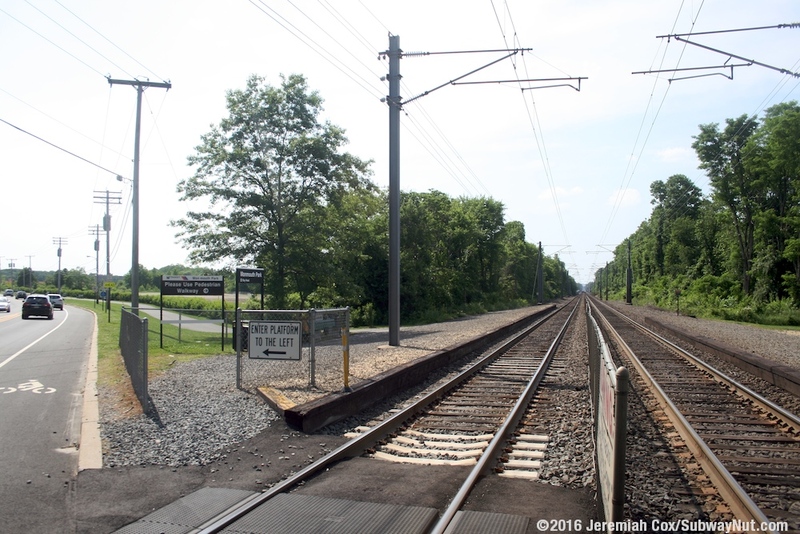 This siding track is unused today and overgrown. 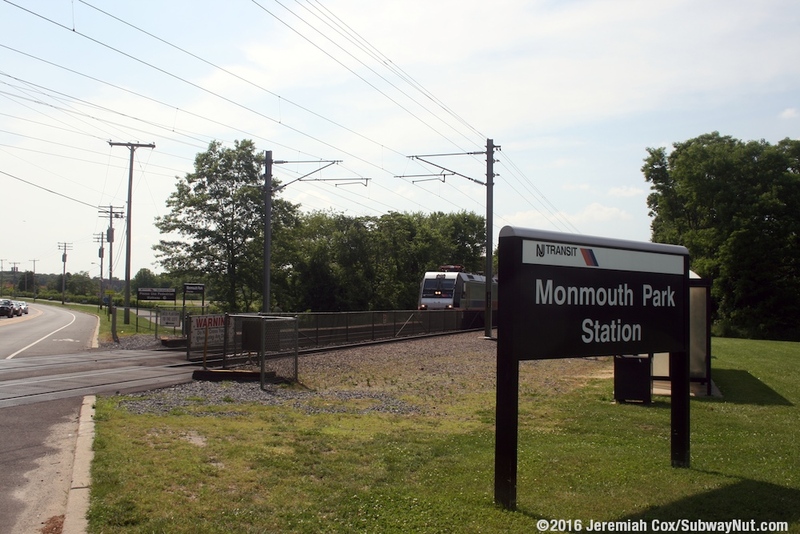 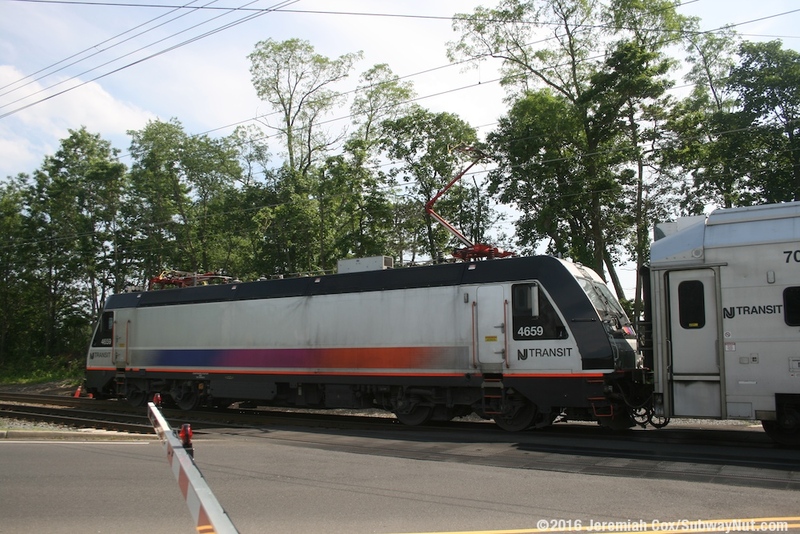 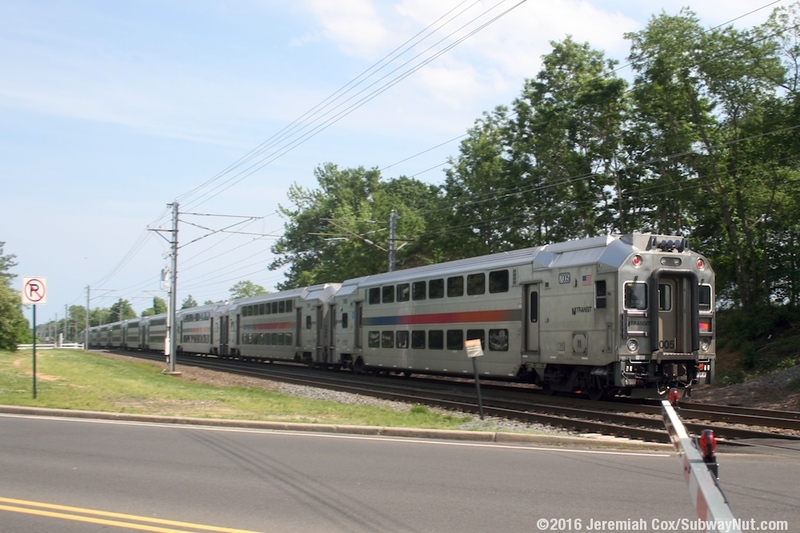 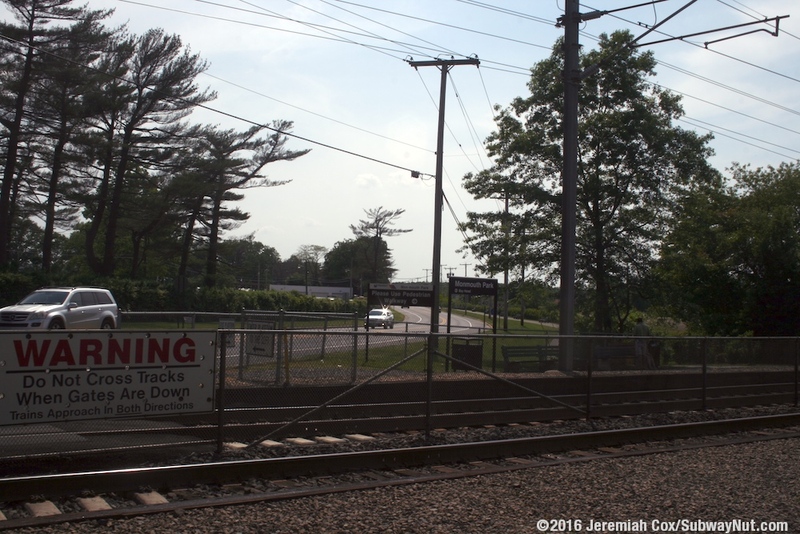 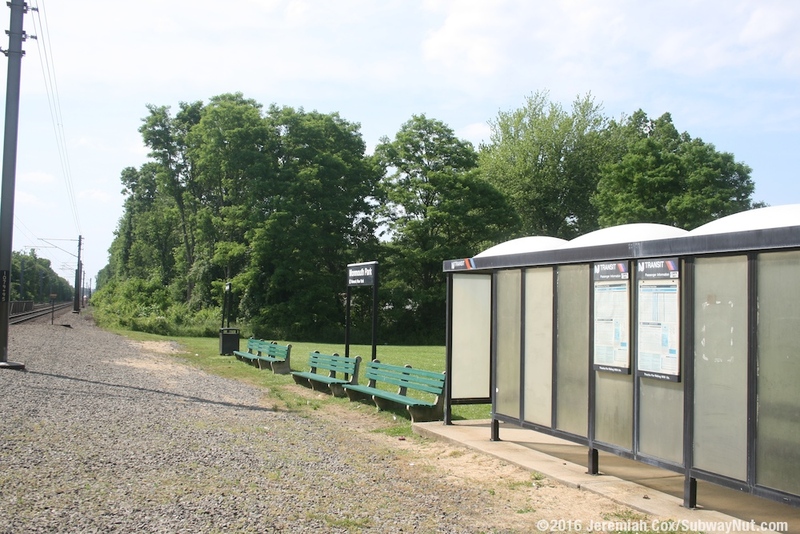 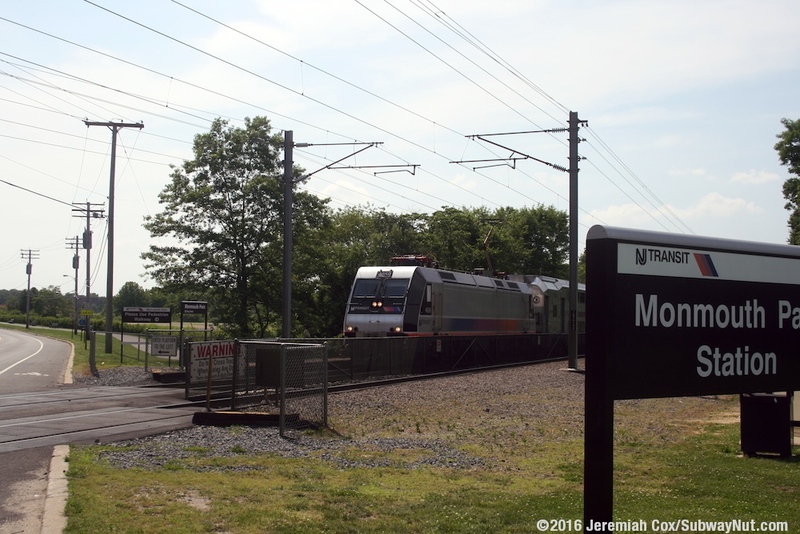 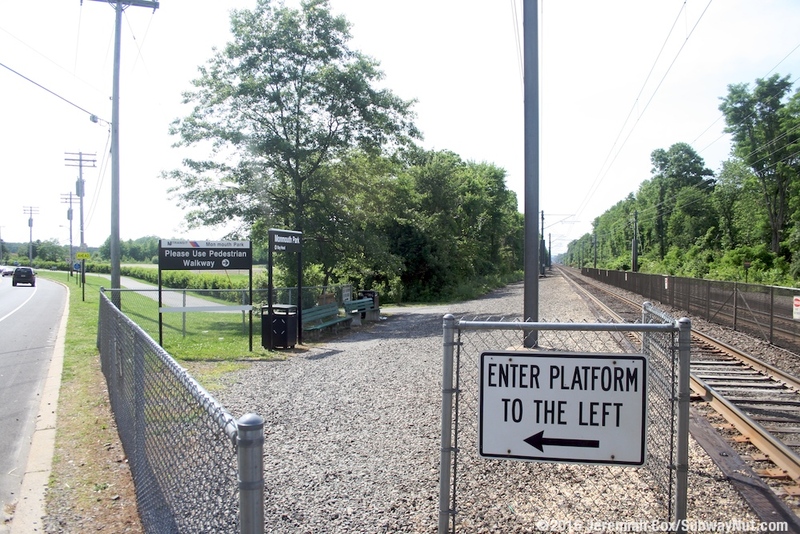 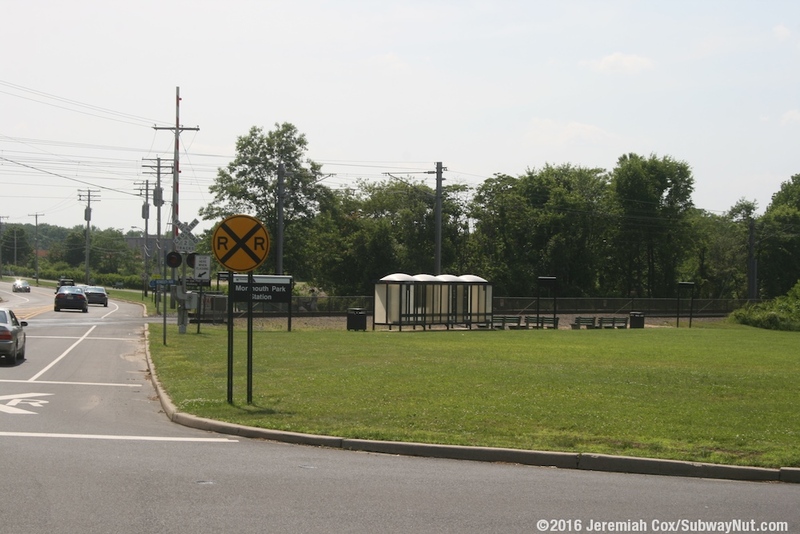 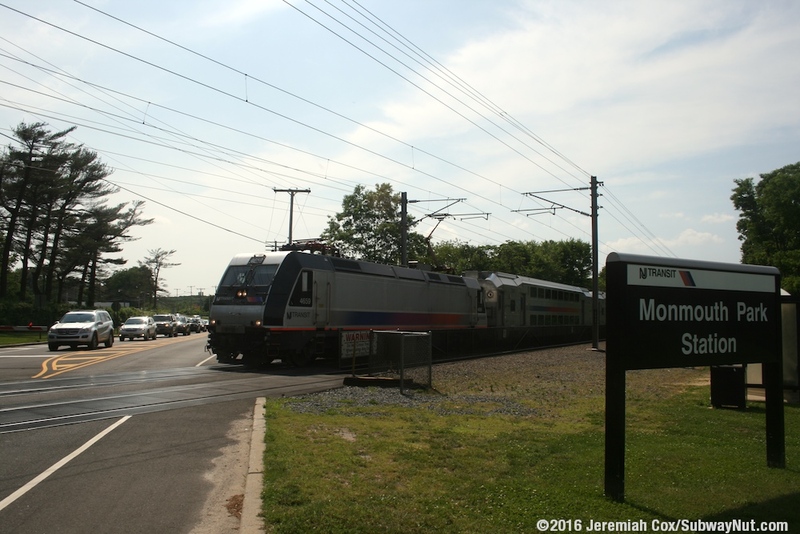 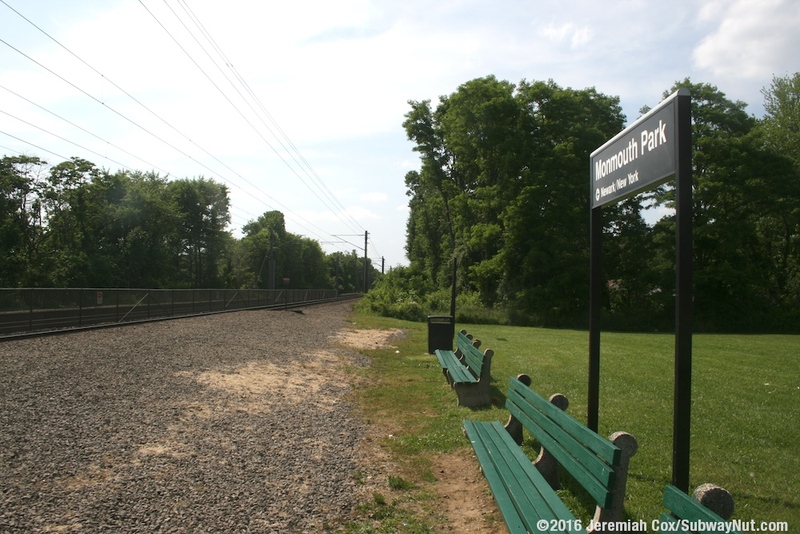 Today current regularly scheduled train service is provided for racetrack attendees by regularly scheduled North Jersey Coast Line trains making a special stop just north of the grade-crossing of Port Au Peck Avenue. 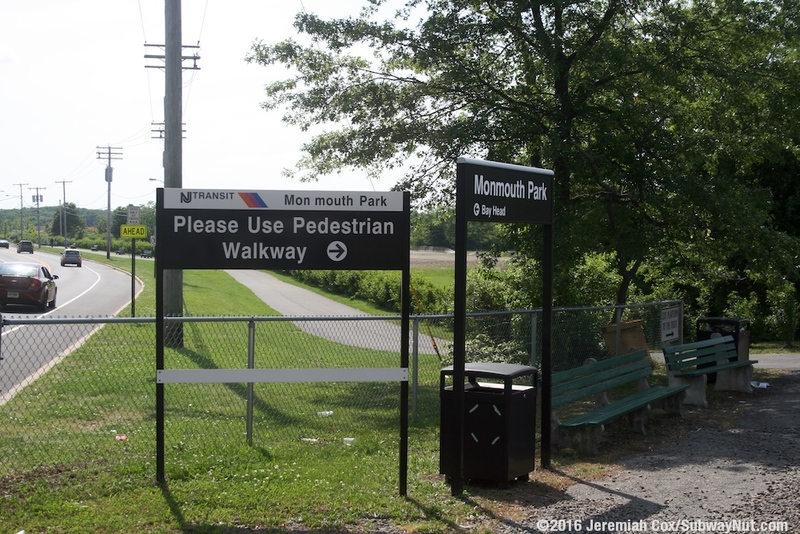 Racetrack attendees must now walk an extra 5 minutes along a special path north of Port Au Peck Avenue before crossing this street and entering through the parking lots of the track. 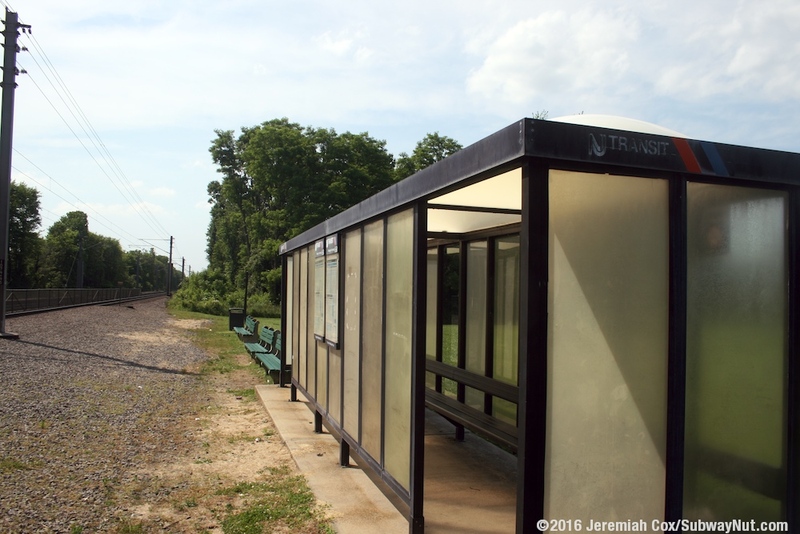 Passenger amenities at the current station are minimal. 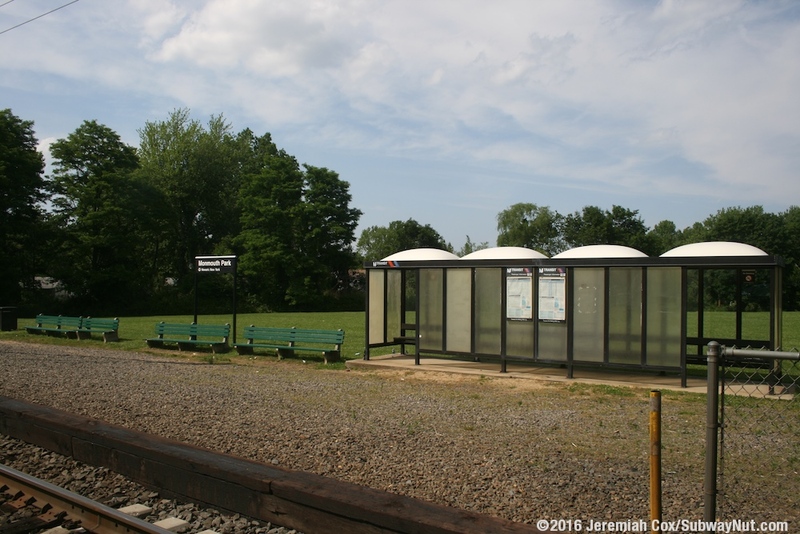 The platforms are basically just ballast for each direction, with parklike wooden benches for passengers on each platform and a quadruple-wide white domed bus shelter on the New York-bound side. 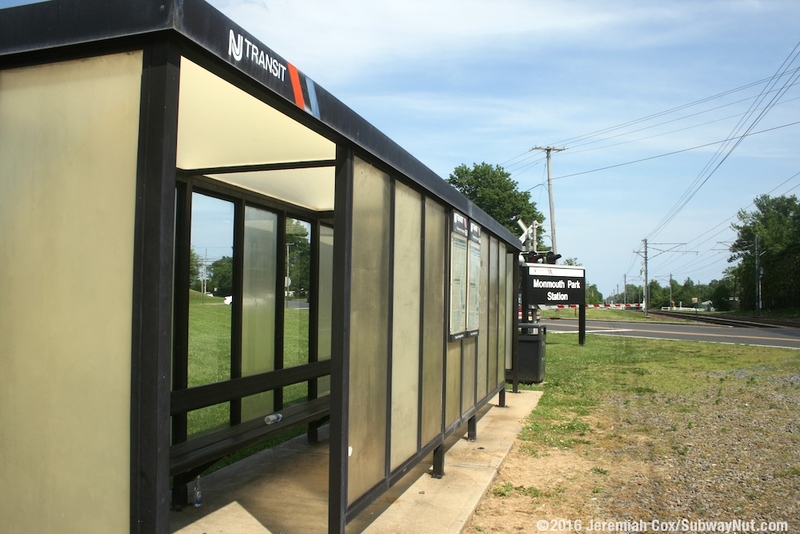 TVMs are not provided at the station, racegoers need to purchase round-trip tickets. 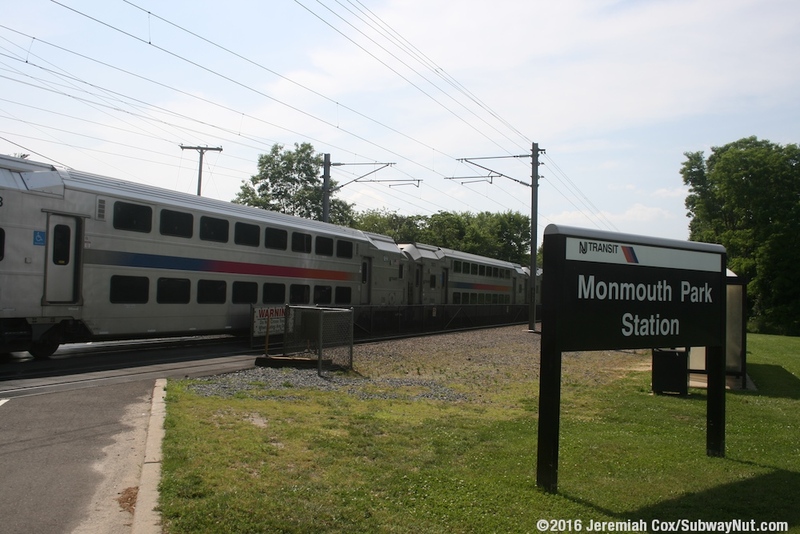 The $5 surcharge is still charged on tickets purchased on board.